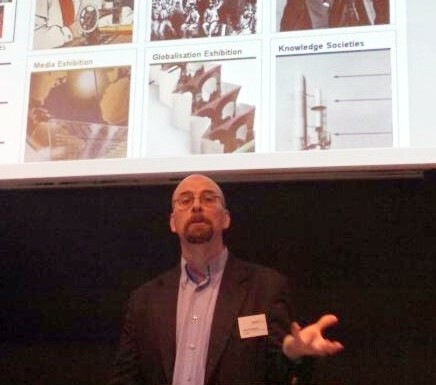 On August 30, 2012, Alec Badenoch, the Chief Editor of Inventing Europe Virtual Exhibit, presented the working version of it at the conference CIMUSET, held in Tampere, Finland. 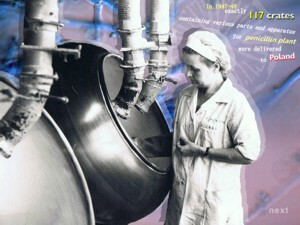 The main theme of the conference was “Brighter Perspectives for Science and Technology Museums”. I dare to say that with our Virtual Exhibit, these perspectives are even brighter! Location: Voksenåsen Conference Centre, Oslo, Norway. 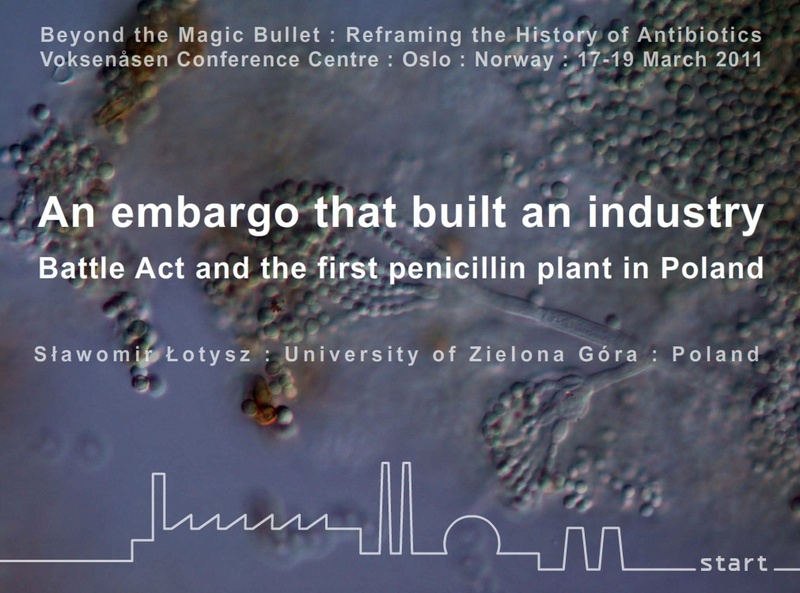 Conference: Beyond the Magic Bullet: Reframing the History of Antibiotics. Organisers: Christoph Gradmann and Flurin Condrau / European Science Foundation Research Network Program DRUGS. Decades before Kevlar was invented, Casimir Zeglen, a Polish-born priest living in Chicago, developed and started selling a bulletproof vest made of silk. At that time, it was the lightest and the easiest to wear. First and foremost, Zeglen’s vest was the most reliable and the only true bulletproof vest on the market. Silk is one of the strongest natural fibers, but Zeglen’s vest wouldn’t have been as resistant as it was if it hadn’t been woven in a peculiar way – a way developed by this ingenious monk. A guest lecture at Wharton, sponsored by Penn Polish Society, University of Pennsylvania.